The Granddaddy of poker Doyle Brunson is rumoured to be attending the Irish Open this year. Doyle Brunson is a very high profile celeb and also endorses the popular poker room Doyles Room. Doyle has been playing the game for over 50 years now and is no stranger to big money tournaments with 10 World Series of Poker bracelets. Doyle has been seen on many of the highest profile poker television shows such as High Stakes Holdem and Poker After Dark. Though only rumour this would not be the first time Doyle Brunson has showed up at the Irish Poker Open. 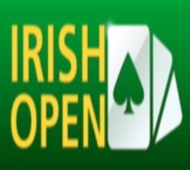 The Irish Poker open first started in 1980 and has growth leaps and bounds since then. The 2010 Irish poker open is a moderate sized buy-in for high limit players at 3,200 + 300 Euros. The Irish Poker Open in 2007 broke records for the largest recorded prize pool with just over 2.3 million Euros and 708 players entering. In 2008 Doyle Brunson took part with 667 players competing. The open in 2010 is set to kick off on the 2nd of April with a super satellite available on April the first. The Burlington Hotel is set to host this years event where is actually hosted in 2007 with much success. Though only speculation the Irish Poker Open is expected to draw a solid 700 poker players from all over the world to have a go at winning the massive prize pool. We will be expecting to see many high level professionals attending this prestigious tournament. Doyle Brunson plays exclusively at DoylesRoom.com. Doyles Room is a great online poker room supporting all sorts of game variations. Started in 2004 Doyles Room provides players with the best games and a doyles room bonus available through certain sites on the internet. Just click the Irish Poker Satellite you wish to play. This entry was posted on Thursday, March 18th, 2010 at 1:21 pm and is filed under Poker News. You can follow any responses to this entry through the RSS 2.0 feed. You can leave a response, or trackback from your own site.